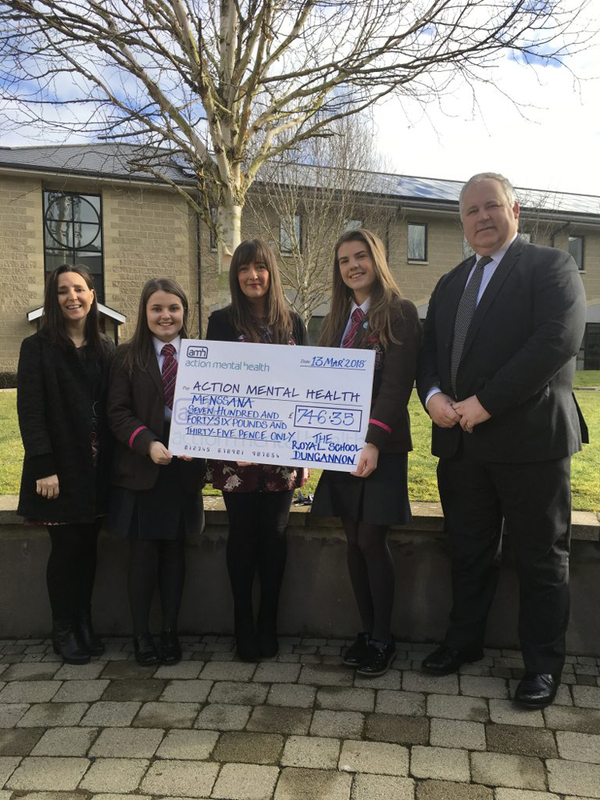 The generous pupils and staff at Royal School Dungannon have raised over £1100 in the past two years Action Mental Health. This week the school presented AMH with a cheque for £746.35 after participating in a number of the charity’s MensSana programmes which promote positive mental health and resilience to all ages, including primary and secondary level school children. The school has and continues to avail of the service which also provides workshops for parents and teachers to further support pupils’ emotional well-being. The workshops are provided free of charge to participants. The school’s generous gift follows a similar gesture last year when it raised £377.90 for AMH, bringing their total fundraising efforts to £1124.25. The school raised the money through a variety of activities and events, including hosting a breakfast following the school’s sixth form formal and non-uniform days.